Before going into details of public enterprises, it is important to note the different types of public sector enterprises. Departmental Undertaking: form of organisation is primarily used for provision of essential services such as railways, postal services, broadcasting etc. Such organisations function under the overall control of a ministry of the Government and are financed and controlled in the same way as any other government department. This form is considered suitable for activities where the government desires to have control over them in view of the public interest. Statutory Corporation (or public corporation) refers to a corporate body created by the Parliament or State Legislature by a special Act which define its powers, functions and pattern of management. Statutory corporation is also known as public corporation. Its capital is wholly provided by the government. Examples of such organisations are Life Insurance Corporation of India, State Trading Corporation etc. Government Company refers to the company in which 51 percent or more of the paid up capital is held by the government. 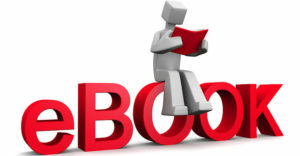 It is registered under the Companies Act and is fully governed by the provisions of the Act. Most business units owned and managed by government fall in this category. 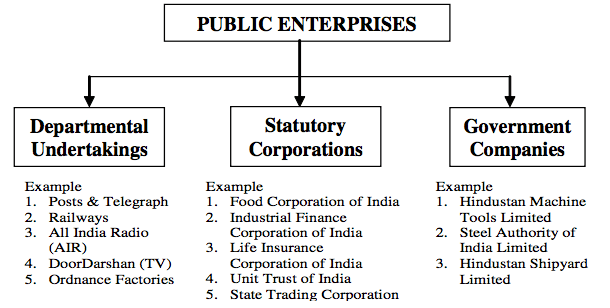 The State Public Sector Undertakings (PSUs) consist of State Government Companies and Statutory Corporations. The State PSUs are established to carry out activities of commercial nature keeping in view the welfare of people and occupy an important place in the State economy. 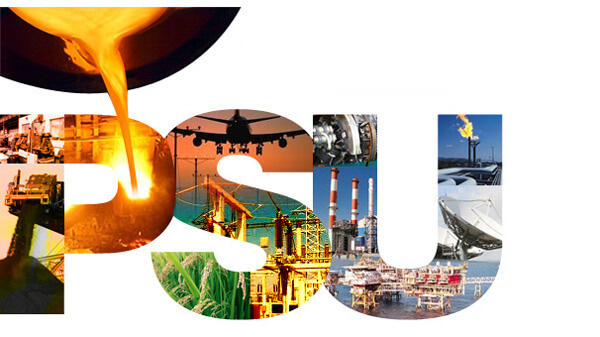 As on 31 March 2015, there were 51 PSUs including 48 Government Companies & 3 Statutory Corporations. None of these 48 Government Companies was listed on the stock exchange. The State Government exercises control over the affairs of these PSUs through its administrative departments. The Chief Executive and Directors to the Board are appointed by the State Government. The State Legislature also monitors the accounting and utilisation of Government investment in the PSUs. Bureau of Public Enterprises (BPE) was constituted under the administrative control of State Enterprises Department. BPE obtains quarterly performance reports and annual reports from the PSUs and evaluates them. Based on the evaluations necessary directions are given to the PSUs for improvement in their performance. 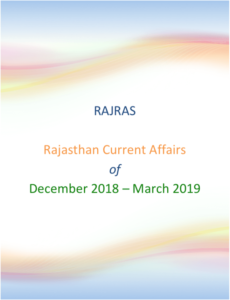 Rajasthan Rajya Vidyut Prasaran Nigam Ltd.
Rajasthan Renewal Energy Corporation Ltd.
Rajasthan State Road Development & Construction Corporation Ltd.
Rajasthan Jal Vikas Nigam Ltd.
Rajasthan State Industrial Development & Investment Corporation Ltd(RICCO). 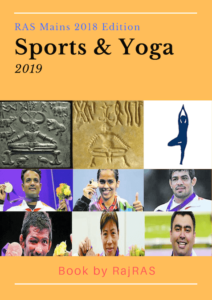 The Rajasthan Small Industries Corporation Ltd.
Rajasthan State Handloom Development Corporation Ltd.
Rajasthan Rajya Paryatan Vikas Nigam Ltd.
Rajasthan State Hotels Corporation Ltd.
Rajasthan State Agro Industries Corporation Ltd.